Located in Fredericksburg, Texas, the National Museum of the Pacific War honors the sacrifices made by American and Allied Coast Guardsmen, Marines, sailors and soldiers during World War II. Surrounded by picturesque ranches, Fredericksburg is in the heart of Hill Country and the hometown of Admiral Chester W. Nimitz, the Commander in Chief of the Pacific Theater during World War II. 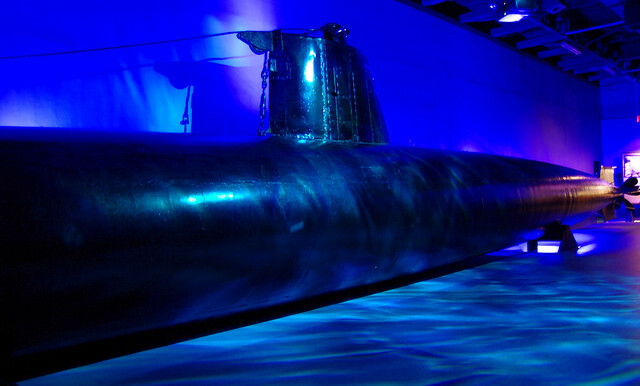 Among the Museum’s artifacts is the HA-19, a Japanese midget submarine that ran aground during the attack on Pearl Harbor on December 7, 1941. HA-19 was only one of several midget submarines deployed by the Japanese to torpedo American ships at anchor in Pearl Harbor during the air raid. The submarine was discovered and depth charged by the USS Helm and subsequently wrecked on a reef near Waimānalo. Recent photographic analysis has led some to suspect that one of HA-19’s sister ships successfully launched her torpedoes at the USS Oklahoma or USS West Virginia on Battleship Row. US forces later recovered HA-19 and paraded it around the US during war bond drives. Unlike modern SEAL Delivery Vehicles, the Royal Navy’s X type submarines, or the Kriegsmarine’s Seehund subs, the Japanese Navy’s midget submarine program was largely unsuccessful and is today a minor footnote in the greater story of World War II. For more information on planning a visit to the National Museum of the Pacific War, go to their website here.